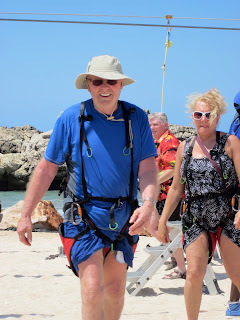 The second day of our cruise, Gary, his mom, and his dad went ziplining in Labadee, Haiti. Doesn't it look fun? I fully intend to take part in this the next time we go on a cruise.